Spend the night next to the river in Brown’s Canyon. America’s newest National Monument offers unique views of granite domes scattered with pine forest. The relaxing environment is a great place to spend the evening with your favorite group of folks. Some of the fun evening activities include hiking, swimming, or just hanging out by the fire. We will even provide a free Stand Up Paddle lesson upon request! Your guides will take care of all the work so that you can enjoy the beauty of this amazing place. Meets at 9am on day one. Finish by 4pm on second day. $345/person for group of 4 or more. This section of river offers lots of class III rapids. 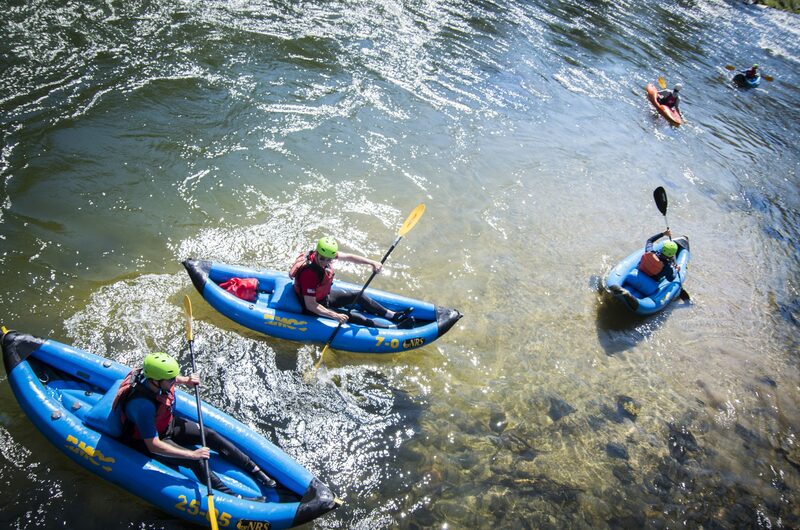 Considered a beginner/intermediate run in a raft, or spice it up by paddling yourself down in an inflatable kayak! No experience necessary. Your choice of primitive or developed camping. Meals included. All equipment included.